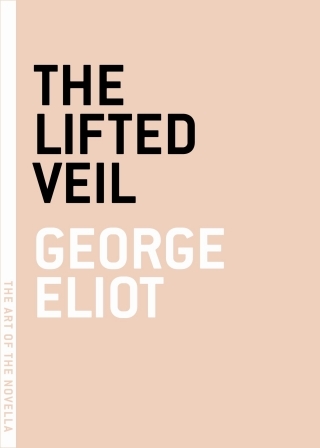 A Literary Odyssey: The Lifted Veil by George Eliot (A Victorian Celebration). The Lifted Veil by George Eliot (A Victorian Celebration). 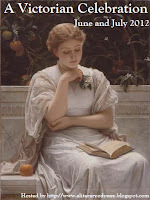 I decided to sit down a read a book yesterday afternoon. You see, I came home from work at the park and decided to do some blogging. 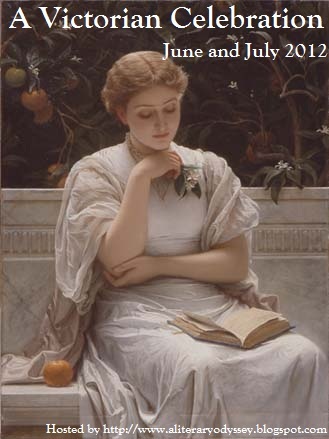 Then I became utterly depressed because while all the participants in my little event are speeding along with their reading, I was still floundering along back at the start waiting to begin. So, I stood and stared at my bookshelves. For a long time. Then I realized I had a volume with Silas Marner, The Lifted Veil, and Brother Jacob. "Couldn't I read one of the latter two titles? They're short, right?" So I clutched my book, sat on the couch, and told myself I couldn't leave until I finished something (except to go change over the laundry). I decided on reading The Lifted Veil. I hadn't read it before, so I figured it was about time. I've really only read Eliot's longer works, so I wasn't sure what to expect from this super short piece of fiction (I feel I should mention that I love Eliot. All of her work is simply fabulous with The Mill on the Floss being my ultimate favorite-yes, even more so than Middlemarch). So, I sat on my couch and read. Well, apparently Eliot had a big of courage in her to try something a little different. Maybe I was expecting the usual-pastoral setting, bickering women-folk, and a girl who doesn't quite fit the "normal" role. Nope. Instead I got a story told in first-person from a male voice, and that was vaguely science-fictiony/gothic. It was odd. And not what I was really expecting from my first Victorian piece. The main character has the ability to see some things in the future, as well as hear the thoughts of others if he allows himself to get close enough. This has set him aside from his relations and those in his community. So when tragedy strikes and he eventually marries, it doesn't really bode well for his marriage. It is an odd story, and one that seemed all too short (my edition was only 55 pages). I felt like I was just getting into his voice when I flipped the last page. I felt like the climax was too soon and then it was over. Looking around online, I stumbled onto a few theories on why Eliot may have written the novella in the first place. Her real name was Mary Ann Evans (a fact I already knew), but she wrote under the pen name George Eliot in hopes of her identity as a woman being protected. Her first novel, Adam Bede, was published under her pen name, and there was a search done to determine the identity of the writer. The Lifted Veil was published shortly after and her identity was leaked. I suppose there are some direct comparisons. Obviously Eliot had to feel some pressure to be under the public eye (aren't all celebrities? ), and that might be reflected in her main character here. He pulls away from society so as not to hurt himself (by hearing their thoughts or getting too close), so perhaps Eliot was pointing out the need for privacy? I'm just not sure I buy that, or whether I want to dive into thinking that about the novella. This sounds like a great story! I had never heard of Eliot's shortest works but this deffinitely brings some light on identity and gender issues. Thanks for sharing!